UPDATE 20th Feb 2019: First batch sold out. Thanks everyone! 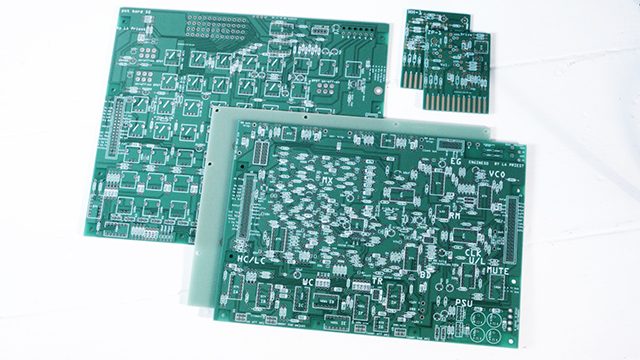 All pcbs will come with build guide and diagrams. Shipping will be added, and will depend on where you are, but the cost shouldn't be too high as the pcbs+panel will fit in a relatively small parcel. I can't provide other parts because I don't have enough time at the moment to order and sort all the components into kits. It is something I'd like to do in the future though. - Full accurate BOM will be posted here on the 12th Feb. EDIT: posted a BOM in the comments tonight, it's 99% there, I need to double check it! - On 15th Feb I'll order appropriate amount of PCBs+panels and I can start taking any pre-orders. 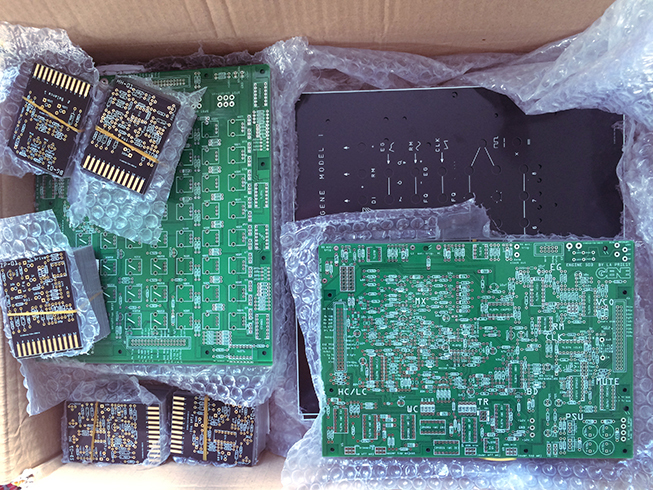 - By 25th Feb PCBs+panels will be ready to send to buyers and I'll begin taking instant orders (until batch runs out). 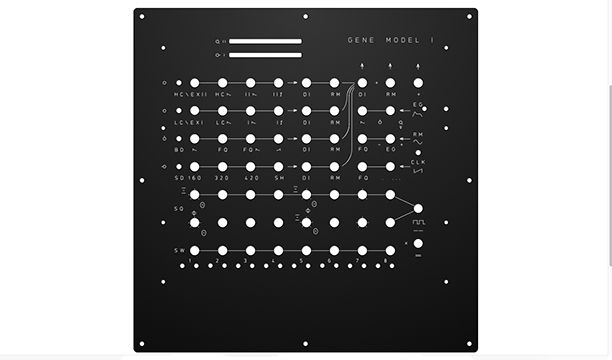 [ I decided to start a new topic, as the previous incarnations of Gene were very different machines, and this is the first model I will put into production. 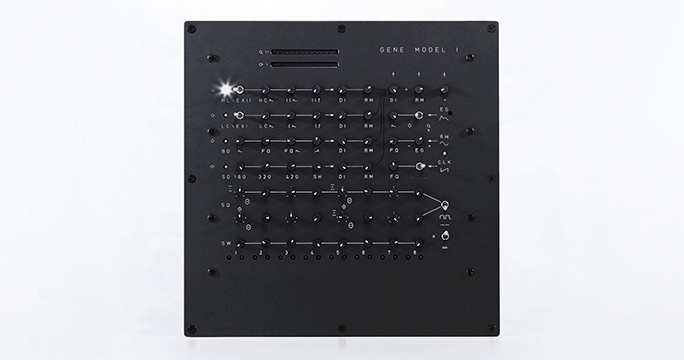 Gene Model I is an all-analog drum synthesizer and rhythm composer, designed and handbuilt in the UK by me - Sam Eastgate (Songwriter and Producer: LA Priest, Soft Hair, Late of the Pier). - 2x Expander Card ports for a potentially infinite amount of additional sounds. Designed with an emphasis on sonic warmth, rhymthmic freedom and a little bit of useful volatility, it doesn't sound like anything else, and sometimes has it's own ideas about the kind of music you want to end up making. 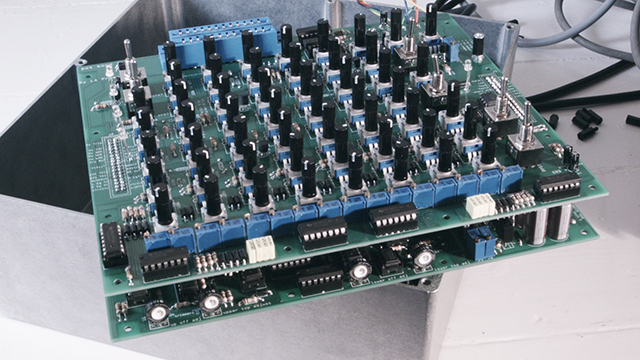 Standard outputs: "DI" the clean mix (Left), "RM" the ring modulated or pitch shifted mix (Right) and "+" the combined mix of both signals (Mono). Finished Model I and DIY options available. Only a limited number (max. 100) will be made by myself. There's an endless amount of other information about this machine that I'll get around to typing soon. I'm also working on a feature and sound walk through video. 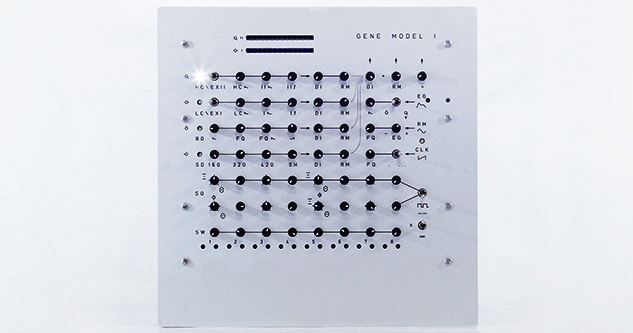 For now, I hope this works as a proper introduction to Gene and the Model I. Thanks to everyone who gave advice and asked questions, and please keep doing so! How does the sequencer work- is it analog based too, or is there something digital driving it in the back end? I'm assuming there isn't a DIY option for it? Interested to hear more - just checked some of the vids on the original thread - some pretty wonderful sounds! But if this is no longer a DIY project I guess it doesn’t belong to this part of the forum anymore, or am I missing something? Great panel graphics. I like how the snare is a bit different from the standard drum machine snare. Word- any idea on availability? does it use any weird rare parts, or "advanced" means "you better know what you're doing with an oscilloscope"
Yes - PCBs at end of Feb, first batch of finished available end of March. Because of being a musician half the time as well, I can't dedicate enough time to support very many people with build troubleshooting etc, I'll answer as many questions as I can of course, but I'd prefer if not too many got stuck trying to build it. So my advice will be for experienced DIYers to build it only. I'll provide clear instructions but there may be things that take a bit of experience to know how to do correctly. There are a couple of rare parts, but there are work arounds if those become unavailable. 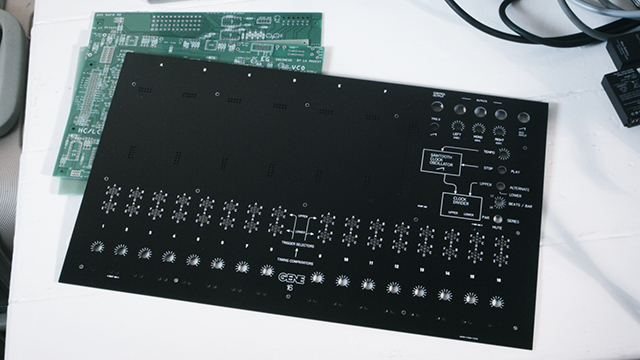 DFAM, the SOMA new creature and this seems like a new generation/concept of drummachines, finally, because the classic 808 step sequencer can´t get more boring. Very appealing! I think I need an explainer though. Keep it coming. Liking these new demos. Does the final iteration still get into these sounds as well? looks cool. second the question on a rough cost please! Based on what i'm seeing, it looks similar to the drum machine on the mutable anushri, but way more "wild"
love the very acoustic pinging type sounds, which of the voices are producing them? this is the first DIY drum options other than the Rollz 5 that I have found particularly interesting. keen to see where the DIY possibilities go. I'd also like to know the price. I'm definitely interested to know if you plan on offering kits as well or at least if a BOM will come along with the PCBs. Definitely snagging one, mostly because I like the concept behind the sequencer. Care to explain it in more detail? About the options: is there any chance the clock in/out are standardized? Will it work with Euro levels? 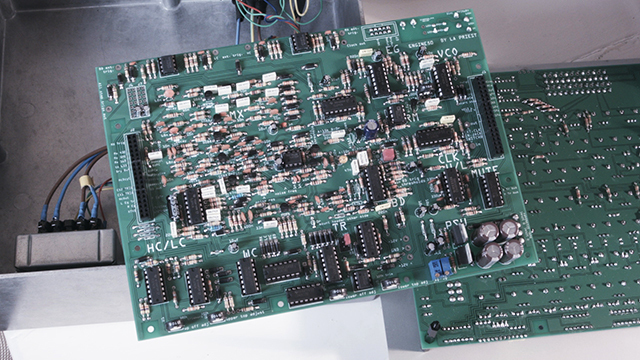 I would roughly say that I'll do the pcbs for £100 for all needed for the whole instrument + throw in two expander card pcbs. Whole BOM, build guide, schem and front panel build guide will also be included. 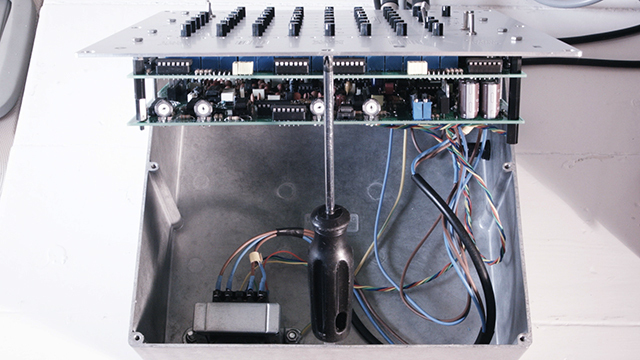 It should otherwise communicate well with euro equipment as it runs on +/-12v. The trigger inputs for example will take anything from a few mV up to +12v. There is actually some cool amplitude difference along that range too, so you can do accents etc. On the last one (another user posted the vid above) I wanted to see how much I could shrink it down. It worked ok but I needed more space for a decent power supply, lots of inputs and outputs, and the card slots. Also it is capable of all the sounds from the previous versions yeah! Also it is capable of all the sounds from the previous versions yeah! Looks and sounds fantastic. Following with much interest. On the last one (another user posted the vid above) I wanted to see how much I could shrink it down. It worked ok but I needed more space for a decent power supply, lots of inputs and outputs, and the card slots. I'm biased as I'd prefer the smaller sized box, but that being said I have to point out that it's worth looking into power regulations before you submit to an internal power supply. In my experience with manufacturing, however small it may be, one of the best reasons I've heard for opting for external power source is to avoid regulation issues. If you plan on shipping to other countries it's worth investigating whether this can cause an issue for you. I might be wrong on this, but I did have a similar discussion with a manufacturer in which I insisted that an internal power source would be optimal and he pointed out that an external one would mean we wouldn't have to go through all kinds of tests for power adherence to various regulations. Someone more knowledgeable on the subject could comment. Maybe the DIY offering won't have such a problem. The clock in/out is a sawtooth which cycles once per bar, at an amplitude of roughly 10v peak to peak. It's pretty essential to the flexibility of the sequencer, standardising it would be complicated without taking away the character. That's a different and interesting way to do it - so guess you have a string of comparators that selects which stage is active? And perhaps you can use other waveforms? Thinking a triangle would lead to ping-pong pattern? Clearly a different approach to the more usual clock pulses to advance steps (though a CMOS divider with R-2-R could potentially provide a stepped 'saw like' wave that might work clocked from regular clock pulses) . I wonder if the 10V amplitude and any offset (presume the Saw is going 0V to +10V) might sometimes call for a little conditioning of any external clocking signal - but not impossible. Curious to see pics of the case and I/O of this machine. And panel close up --- what's the two horizontal slots near the top of the panel? Those are the card slots if I'm not mistaken.